Not That Special | What! No Tea and Scones? Ever heard people say things like, “If he truly loves me, he’ll always be here for me”? Or what about the one that goes, “If she really loves me, she will understand”? What a load of codswallop! Whenever I hear statements like these, I have to suppress an overwhelming urge to slap the one saying it till either one of us goes silly and start foaming at the mouth. These people aren’t romantic at all: they are – how can I say this nicely? – just plain deluded. Its either that or they are, at the very least, spectacularly lazy. They are just not willing to put in the work to keep their partners. Do we really believe that we are so special that our partner will continue to love us no matter what? Yeah! And National Geographic will call me up tomorrow, shove a million bucks into my pocket, and tell me to go around the world to shoot photos for them. Oh, by the way, they’d like to have the photos submitted to them only some time in 2052 – but then, only if I can manage it. Think about this for a second. Are we really THAT special? If you even thought of answering with a ‘Yes!’ you can save a few minutes and stop reading this. You can instead use that time you’ve saved to Google the nearest lunatic asylum and get yourself admitted. The truth is we are NOT that special. Nobody is! And that’s not the sad part. What’s really sad is that most of us conduct our relationships (either knowingly or not) as if we were. We carry on believing that we can say or do anything we like and people would still be here for us. Suddenly, one day when we look into his or her eyes and see that there’s nothing there anymore, we start wondering, “Where did all the love go?” We then act all hurt and blame our partner for not loving us enough. Way to go, genius! Human beings (that’s you, me AND our partners) all have a threshold to pain. Some may have a higher threshold than others. But make no mistake. Everybody has one! The fact is if you cut someone I guarantee you they WILL bleed. After all, they are made of flesh and blood – just like you and me. Wolverine (of X-Men fame) might be able to miraculously heal from his wounds. But I’ll share this nugget of truth with you for free – he’s a comic book character. In all likelihood, your partner isn’t. Cut them enough times and something is bound to die. Guess what happens when the pain of enduring our callousness gets to be greater than the pleasure of loving us? Yes, Einstein, will they leave. Is this so surprising? Hey, wouldn’t you leave, too? I have no doubt in my mind that Siti loved Jamil more than life itself. But Jamil had a habit of regularly coming home very late almost every night after drinking away all of the grocery money – all too often smelling of a GRO’s cheap perfume to boot. 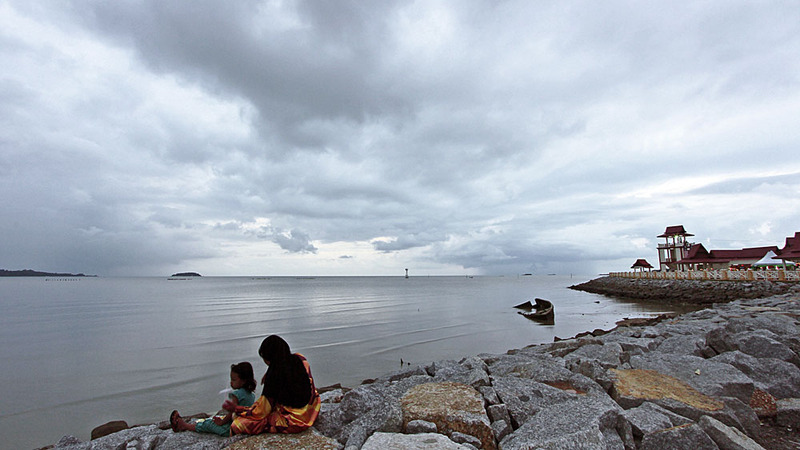 One fine morning, Siti stuffed her things into a Mydin plastic bag, boarded a bus at Puduraya and disappeared. But is your Siti’s threshold equally high? Would it take that much before she reaches for her Mydin plastic bag? Or would it take much less? And let’s talk about Rafiq and Shida. It was pretty clear to me that he loved her more than any woman can ever hope to be loved. But Shida had a temper. And when she got mad she would say the meanest and most hurtful things imaginable. Whether or not she ever regretted her actions I will never know. But I do recall her telling me on numerous occasions that Rafiq should understand and accept her for who she is. Yeah, right! Guess what? They went separate their ways recently. Rafiq now repairs cars for a living somewhere in Manjung and is much happier than he has ever been in years. What about Shida? Well, I don’t really know what became of her. I pray that wherever she is, she has somehow learnt to curb that temper of hers. Yes, love is a wonderful thing. But it is never the indestructible bunker we think it is or should be. Chip away at it often enough and it will crumble just as sure as if a cruise missile slammed into it. In the end – better than insisting that our partner must accept us warts and all – I believe that to truly love someone, we must first accept that they (like everyone else) have a threshold for pain. It is then up to us to have enough courage, grace and compassion to not take them over that threshold – ever. Love dies all the time. Rather than make a unilateral declaration that our partner’s love had somehow been defective, perhaps we should take a closer look at just how much pain we’ve caused – and stop if it isn’t already too late. All said and done, we just aren’t THAT special. Then again, you’re never ever nasty to your partner, right? Think again! This entry was posted in human nature, relationships by Sofian. Bookmark the permalink. You’d said something that is so true, and quite important too. Special huh? i would like to give the next person who says or thinks this a good wallop on the head too. Was is not someone who said “heaven can bring two people together but a good relationship is not made in heaven; it is made on earth by a lot of hard work”, or “a match made in heaven is not a match for the man when the woman is mad”, or something to that effect lah? And err, before ‘my Siti’ reaches her threshold level, a distorted sound (not unlike what my hi-fi speaker would produced when the amp is pushed too much) will probably result causing me to gallop out of the house in a jiffy. Of course Siti would then throw out all my stuffs together with the Mydin bag last. But have you tried applying for the NatGeo position yet? Simply put, love should never be used an excuse for us to be lazy and stop working on a relationship. None of us are so special that our partners will stay once the pain is greater than the pleasure derived from the relationship. This may sound so very unromantic. Unfortunately, in the real world, this is how things work. I think it takes a lot of courage to walk away from a bad relationship, to make that final cut. Most often than not, we forgive and pray that whatever it is that ails our spouse or partner, it’ll be a temporary thing so we hang on a little bit longer. For some that bit longer becomes a lot lot longer and they just take it in their stride. Relationship needs a lot of work – it’ll work only if you want it to work. I guess at the end of the day, when you look at your spouse’s face and think of all the good things that he/she has done for you far outnumbers the bad things (likewise the opposite) – you’ll know what to do. And then you pray that God’ll be with you. Oh, you are special – with or without NatGeo. Love is blind……so, marriage is an institution for the blinds……sob! I think I’ll be blogging about the love-marriage disconnect soon. With the soft silk of eyes that look and long.